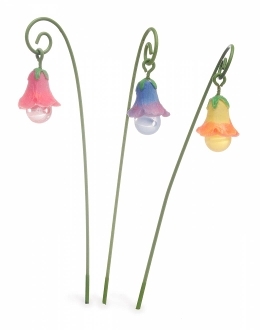 A set of 3 Flower Lanterns! Great for lighting a pathway. .5" x .5" x 4.5"